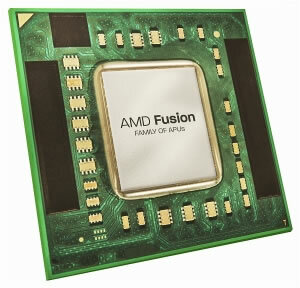 It seems more troubles await AMD in the microprocessor market. A few days ago rumors started to emerge that the company had cancelled its Wichita and Krishna APUs, the 28nm the successors to its C-Series (codenamed Ontario) and E-Series (codenamed Zacate) chips for budget and mainstream notebooks. Now, a report from ExtremeTech is backing those rumors with an interesting twist on the side: AMD will move 28nm production from GlobalFroundies to TSMC and start afresh with a new design. The decision comes in light of a slow, low-yield production ramp. A switch of foundry would be quite significant, both from technical and strategic standpoints. As ExtremeTech notes, TSMC's 28-nm high-k metal gate process has a gate-last design, but GlobalFoundries' is gate-first. AMD may try to buy some time by releasing more efficient 28nm variants of Ontario/Zacate products, but a true replacement that brings the architectural improvements originally intended for Krishna/Wichita is likely at least 18 months away. While AMD holds close to a 10% share of GlobalFoundries, the relationship between the two seems to have turned sour as of late. When issuing its revenue warning for the last quarter, AMD specifically blamed 32nm manufacturing issues at GlobalFoundries for the lower-than-expected revenue. They announced an agreement under which they would only pay for good 32nm dies, but with GlobalFoundries still having trouble to improve yields the firm has been stuck building Llano at a loss for most of this past year. That deal expires on January 1, at which point AMD will go back to paying a flat fee per wafer. Apparently, GlobalFoundries is unwilling to negotiate a new wafer agreement, just as much as AMD is unwilling to pay a per-wafer fee for a slow, low-yield product ramp -- thus the breakup. Despite setbacks in production, AMD has said it remains committed to its partnership with GlobalFoundries and that the two will continue to collaborate on AMD's main product lines. It doesn't seem like they have much options either. The company needs a competitive product on the market to fight not only Intel but also ARM, which will continue to gain territory next year as Windows 8 introduces support for the architecture.